Discussion in 'Korean Domestic Leagues' started by GoYoungrokba, Jan 17, 2015. Let's hope our performance at the WWC 2015 will promote the popularity of this game. DynamoManiac and chook90 repped this. GoYoungrokba and edlee1992 repped this. Whereas Park Eun Sun makes me feel assured, "든든해" she's very reliable. TaegukWarrior, mariarfrts, chook90 and 2 others repped this. melonbarmonster and killaorca repped this. I like this player already. Great signing. By the way, on 원투펀치 interview, Hwang BR and Shim SY said that the level of WK-league is around that of the English Women's top division. Any of you know how accurate that assessment is? I watch both, I'd say that is a big stretch. FA-WSL is by no means one of the top leagues in the world, but it is rapidly improving and good money is flowing into it so it will continue to improve. The thing that most of the leagues struggle with, and WK-League is no exception, is the disparity in quality across the league is huge. Take France, most would put France and Germany as arguably the best leagues in the world. Truth is, France has two outstanding teams: PSG and Lyon, but then there is a big drop off and bottom teams in Ligue 1 are semi-pro at best. Germany is similar but a bit more balanced. This is why many consider NWSL the best league in the world even if there are teams in Europe that are better. NWSL is definitely the best balanced top to bottom. 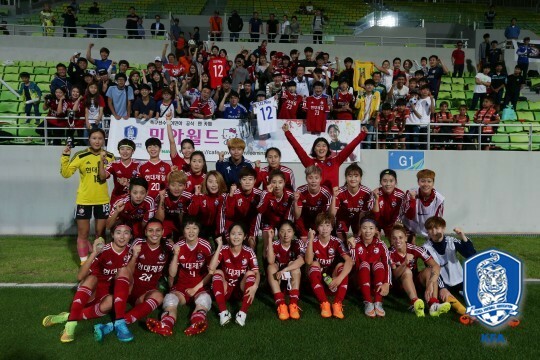 WK-League, Hyundai Steel Red Angles and Icheon Daekgyo have won all but one WK-League title between them. At the opposite end you have Seoul and Busan who are lucky to win a game. HiTaegukWarrior, sac517 and chook90 repped this. Where do you consider the next realistic landing point for Ji Soyun or someone like Jeon Gaeul? Honestly, I'd love to see Ji in NWSL. Think it's the league that would probably be best to take her to the next level. Where European leagues are highly technical, NWSL is all about pace and power. For Ji to become truly elite, she needs to get to where she can think and react more quickly. You ask anyone who has played in Europe and then the NWSL, they'll tell you that NWSL is unforgiving of mistakes. Things they could get away with in Europe, they could never get away with in NWSL. Barrier is salaries. NWSL just can't compete with Europe on that front. So, most likely she ends up in Germany with outside shot of PSG or Lyon in France. Jeon needs to make more of a name for herself. She could probably do that in Japan (as Ji did). Alternatively, go on loan to Australia when WK-League season is over (not sure exactly when the cut-off window is for moves to Australia, though. From there, if she impresses then she could look to move to England or one of the Scandinavian leagues. From there, if she impresses then she could look to move to England or one of the Scandinavian leagues. The top teams are really good (Marta plays in Sweden) and probably better than anything FA-WSL has to offer, then there is a drop-off. That's true of any of the European leagues, though. You have a handful of good teams in any given league, and you have semi-pro sides as well. That's one of the things that makes NWSL arguably the best league in the world. PSG, Lyon, the top German sides might beat the top NWSL sides. However, there is no drop-off in NWSL. Any of the 9 teams could beat any other. The average wage is better in the WK-League than in the WSL, though the standard, I cannot comment since WK-League is hardly broadcasted. The problem with the WK-League is like that of Chinese or desert leagues in men's football. The wage of the players are so overblown that only handful of foreign clubs in the world can realistically sign them, and they have much better and cheaper alternatives. I don't think Jeon will move away from WK-League given that her wage is among the top in the WK-League. As for Ji, maybe a move across the Atlantic may come if she continues to perform well. You can actually see all of the WK-League matches over YouTube. Have you seen a list of salaries in WK-League? They are not published, but given that the KNWT members and other core players get 40M to 50M Won, and the fact that majority of clubs act as a pro team, while a lot of top female footballers fail to make that kind of money, I assumed it was the case. Obviously, it's not a sure thing, so do correct me if I am wrong. I'll take your word for it, I've been digging for info and find very little. You are correct, though, for players of this caliber that is a good salary. The name players in Europe who are plying their trade in France or Germany typically get over 100M won, but last I heard a player like Ji So-yun was getting like 50M Won with Chelsea which is quite good. In the USA with NWSL, the max salary for a non-USWNT/CANWNT player is $37k. All comes down to long-term objectives, though. You can sit in WK-League, earn a decent salary but not get really challenged and never have the opportunity to aim for more. Or you can take possibly a smaller salary, go overseas, improve, establish yourself and maybe get a bigger salary. I figure Ji So-yun's next contract is going to be double what she is getting now. I believe WK-Leaguers get paid $30K-#40K as average. Top performers are with around $50K. 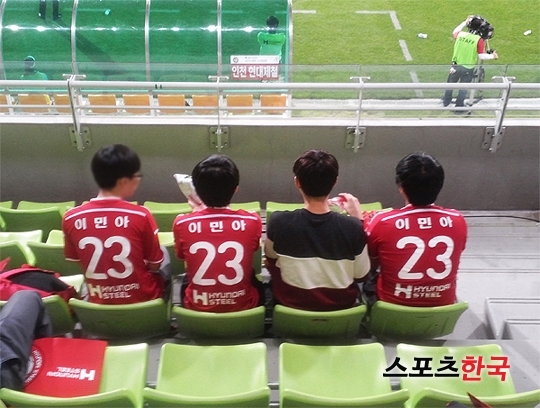 Jang Selki has been drafted by Incheon Hyundai Steel, the three-time defending WK-League winner. Incheon's dominance will likely continue. It's a very tough decision to make given that there are no guarantees. Jeon Ga-eul is supposed to be moving to play in NWSL this season, although I've heard it might not happen as she has one year left under contract with Hyundai Steel. They were supposed to loan her out, but sounds like that aspect of it has gotten overly complicated. We'll see. Ji So-yun has extended her contract with Chelsea for another 2 years after considering offers from Portland and Seattle in NWSL. If there isn't a Korean playing in NWSL during 2016, I'm pretty sure there will be 2-3 by the time the 2017 season rolls around. sac517 and zdrstvte repped this. Interesting. Any insight as to why she turned down the NWSL to stay in England given that it seems that NWSL is more competitive? Pure money decision?